If you want to control shine, erase oil, and pull off a smooth and sultry look, matte foundation is just what you need. 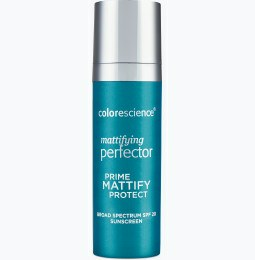 Use the Colorescience Mattifying Perfector and Everything Matte makeup kit to enhance your look and go from oily to smooth in no time. Ever wonder how those starlets of the Golden Age of Hollywood achieved their silky, powdery skin? You weren’t being fooled by a soft-focus lens. These women achieved this now iconic retro look through the use of matte foundations. Today any foundation, lipstick, and eye shadow can be fortified with mattifying powders to create that flawless look—without any of the weight of old-school makeup. Does matte makeup work for every skin type? If you want that signature matte look, you need to start with your skin. Dry, flaky skin will cause your matte foundation to crack and appear caked-on. On the other hand, oily skin can make matte foundations melt and create shine. At Colorescience, we provide a mineral foundation for dry skin with a matte finish that can be a part of your skin care routine, so you can mesh beauty and skin care into one regimen. 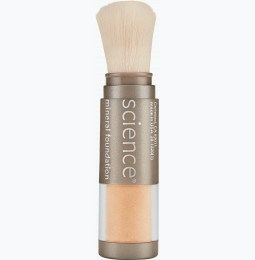 Whether you’re looking for a foundation for oil control foundation or foundation for dry skin, Colorescience offers foundation mineral makeup for every skin type. Is matte foundation appropriate for all makeup looks? If you’re looking for the no-makeup look, matte foundation is your new best friend. The right matte finish can rid your skin of shine, smooth out your complexion, and leave you with glowing skin sure to turn heads. 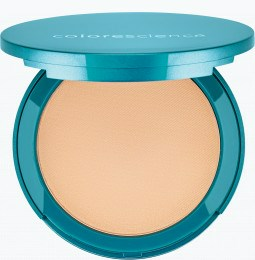 Colorescience offers matte foundations made with natural ingredients. Our makeup products are designed to be gentle on the skin, helping you cultivate a healthy glow without making blemishes worse. We offer natural foundation with SPF to help protect the skin from the sun’s UV rays, keeping your skin healthy and happy. Our Everything Matte makeup kit has everything you need to create cake-free flawlessness. It goes on smooth and lasts throughout the day with no fuss. Our foundations have SPF that helps keep you protected throughout the day, and organic ingredients that help you day and night. Not into powder foundations? Our liquid foundation will create a glowing look with none of the grease. Pair either with our foundation face primer Restore and preserve your skin with matte foundation from Colorescience.